Subaru has confirmed that it has imported its last WRX STI and Impreza into the UK, in order to concentrate on its range of SUVs – the XV, Outback and Forester - and the BRZ sports car. 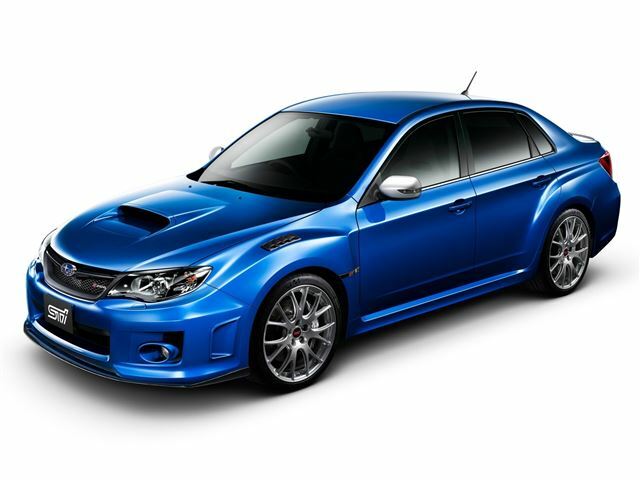 Supplies of the WRX are expected to dry up by the end of spring 2013. The decision to drop the flat-four powered hatchback and saloon has been made because the car has been struggling to sell in the UK - high emissions and list-price mean that the once-celebrated car can no longer compete with newer rivals. The end of the WRX sees the cessation of the line of turbo 4x4s, kicked off by the Legacy in 1992, and continued with such success througout the 1990s and 2000s thanks to the Impreza. At its height, the Impreza - the WRX's predecessor - was Subaru's largest seller in the UK, and the halo product for the Japanese performance car movement in the UK. RIP Impreza WRX the finest driving car I have ever owned. We still have it here in the States, thank God. Subaru is the only car I will ever own. Sadly, Subaru has become a dinosaur - the boxer engine and inline 4wd transmission gives it all it's excellent dynamics but makes it impossible to share components with other manufacturers so Subaru can never compete on price or volume. When the Impreza was at it's rallying pinnacle, the halo sales kept it going but now other manufacturers can do more for less on their WRC models. But without Impreza, Subaru is nothing - Legacy owners are fiercely loyal but so few in number - the XV, Forester and Outback are outclassed by every SUV/CUV out there, especially on fuel consumption - the BRZ is 2-3 decades too late. I'm glad I had a Subaru, before they depart this earth - a 2006 Outback but at replacement time it was matched in dynamics by a much heavier Hyundai Santa Fe - shows how much ground the competition has made up while Subaru stood still.